The ZTE Axon Max is not a mythical creature after all. 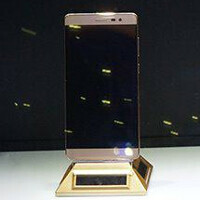 The manufacturer says that the phablet is coming, and will be available before 2015 is over. All ZTE is willing to say at this point, is that the Max will have a larger screen and a larger battery. We are guessing that the company is using the Axon Pro for a comparison. We expect the handset to be made of the same aircraft grade aluminum used on the Axon Mini, giving the phablet a premium look and feel. 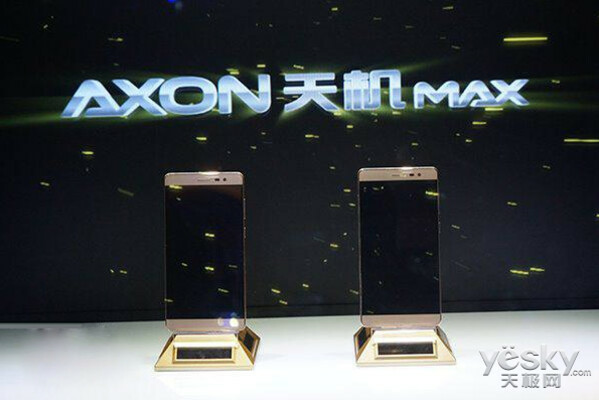 There are some rumored specs circulating online for the Axon Max, and they include a 6-inch display with a 1440 x 2560 QHD resolution. The Snapdragon 810 chipset could be powering the unit, containing an octa-core CPU and the Adreno 430 GPU. 4GB of RAM is expected to be inside, and a rear-facing 13MP snapper is said to be the featured camera. We should see a battery in excess of 3000mAh powering the phone. Like the Axon Mini, the Max should offer voice-control, a fingerprint-scanner and an eye-scanner. It also will feature the dual microphones and Hi-Fi sound recording capabilities found on the smaller-screened model. As soon as we hear anything pertaining to a launch date or pricing for the ZTE Axon Max, we will let you know immediately. I'd only be interested in it provided it comes in other colors besides gold. Please, enough with the gold already. fake gold looks soooo cheap i never understood why ppl love this color?..im fine with any other color besides gold cuz with gold ur trying to make it look like ur phone is really made from gold! Sounds nice. But like most interesting hardware, I doubt it'll have US bands, so unfortunately.